Learn about the GUMP, micromanagement, and more. Atlus has shared new screenshots of Shin Megami Tensei: Devil Summoner: Soul Hackers, detailing the game’s “GUMP” gun computer, team micromanagement, sci-fi world, and eccentric personalities. 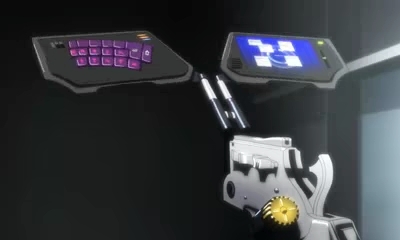 Early on in Soul Hackers, players will get introduced to the gun computer or “GUMP” for short. The GUMP is the player’s lifeblood in Soul Hackers, it gives them the ability to communicate with, summon, and fuse demonds. The on ly way to survive in battles. The GUMP also can act as a mini-map of the current dungeon. Players access the GUMP’s functions by using the Nintendo 3DS’ touch screen. As would be expected of a Shin Megami Tensei title, team micromanagement in battle is the key to victory in Soul Hackers. The only way to build the most versatile and powerful demons is by fusion, the process of combining up to three demons together. With nearly 300 demons in Soul Hackers, including more than 30 new ones, Victor is the guide to unlocking the true potential of demon fusion. The sci-fi world of Soul Hackers borders on the fringe of extreme technoloy (the year 2030 as imagined by the year 1997!). But there are still remnants of the old world around, full of eccentric personalities and situations. 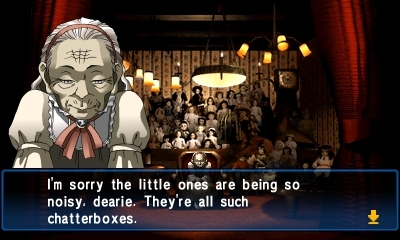 Speaking of eccentric personalities, the Nintendo 3DS version of Soul Hackers is enhanced with voiced characters, and optimized for quick load times. 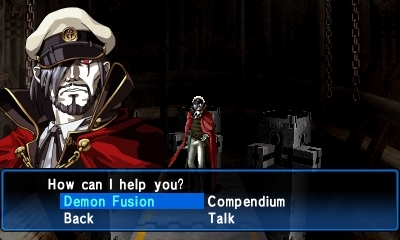 Soul Hackers‘ Digest function allows summoners to review dialogue and main storylines whenever they’d like. 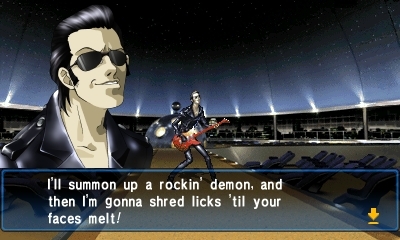 Shin Megami Tensei: Devil Summoner: Soul Hackers is due out for 3DS on April 19.